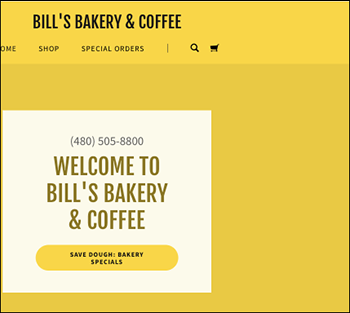 For some websites a solid-color first section may look better than a photo. Try it. It's simple to switch back to your original photo if you change your mind. Click on the cover image in the header section. 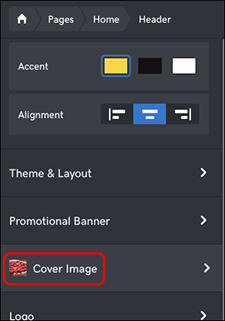 Click Cover Image in the Header panel. 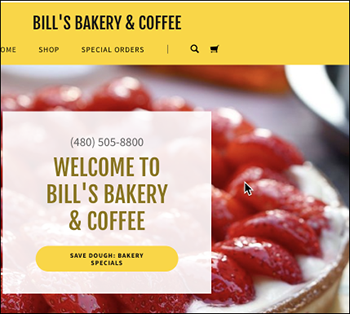 Click Done and the cover image is replaced with a solid color based on the selected color in your Theme panel. Your changes are saved automatically so, when you're finished, click Preview to see the results. When you're done, click Publish Site or Publish. 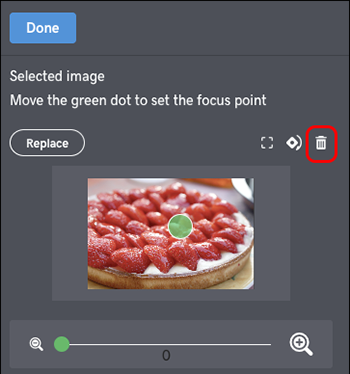 Want to switch the background color? See Choose site color. Is there a way to add a cover page to our site with an image and a "are you 21 or older, yes or no?